“Growing up in India, food was at the centre of everyday life. From festivals to wedding celebrations, huge feasts were commonplace in Asansol and it was here that I fell in love with the sights, smells and celebration of food. Even on a regular day, my mother would cook four meals a day with each one featuring around five dishes! Asansol also had a strong Anglo influence and we celebrated Christian festivals as well as Hindu ones, experiencing many different cuisines along the way. 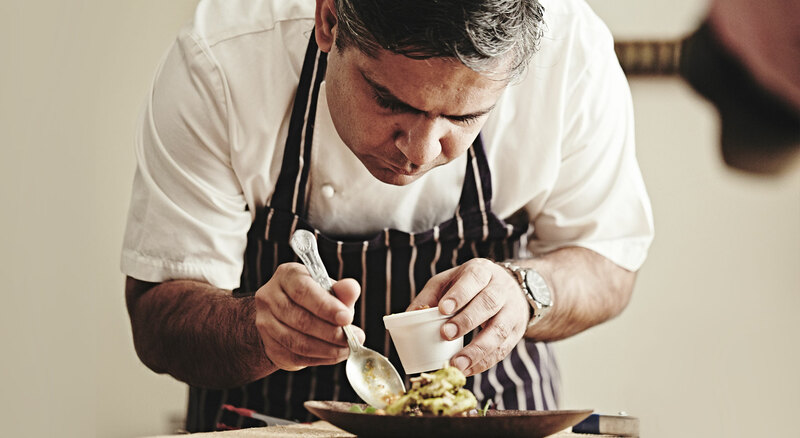 This exposure was vital to my experience as a chef later in life as I began to develop my personal style, marrying Indian spices and flavours with Western techniques and ingredients.